According to a recent news release from CNN, a hot air balloon crashed in Texas and cost the lives of 16 people. The deadly balloon crash occurred around 30 miles from Austin, Texas, according to authorities. While the cause of the accident is still under investigation, witnesses and investigation authorities believe the balloon crashed into power lines causing it to burst into flames before hitting the ground. 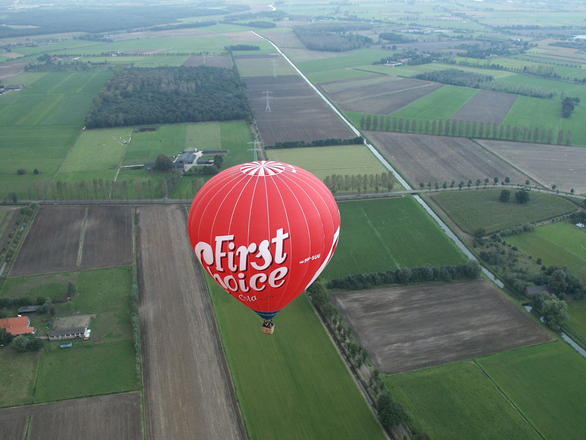 The company that owned the balloon involved in the deadly accident regularly offers customers hot air balloon rides. The balloon can go to numerous destinations in the area and, according to their website, charges customers around $400 each for a ride on the balloon. Authorities have said they received a 911 call just before eight in the morning, and believed it was for an auto accident. It seems that witnesses to aftermath of the fatal crash saw the flames and realized there was crash but assumed it was a car crash, as they did not see the balloon while it was still inflated. When first responders arrived at the scene, they saw the burning balloon basket that held the passengers. The flames were coming from the basket in one large ball after another and would reach all the way up to the power lines. Since this was technically an accident involving a commercial aircraft that resulted in loss of multiple lives, the National Transportation Safety Board (NTSB) and the FBI are involved in the joint investigation to figure out exactly what happened. At this time, they do not know if there was operator error or some kind of mechanical defect, or if something entirely different caused the balloon to hit the power lines. While many people are not familiar with modern hot air balloons, it is not uncommon for them to carry upwards of 15 passengers in addition to the operator. Three years ago, 19 people were killed in a single hot air balloon accident in Egypt. The NTSB says that it will be releasing a preliminary report about the accident a week to ten days from now, but they also said it will not include the cause of the accident. These preliminary reports sometimes just tells some basic information about what happened and the steps the agency will be taking as it completes its investigation. It should be noted that, as of this time, there has not been any finding of negligence on behalf of the company or any of its employees. One thing to keep in mind if you or a family member is ever injured in any type of tour ride is that there is a strong possibility that the ride operators will have required to you to sign a waiver of any and all liability before taking the tour. While a hot air balloon accident is something that obviously can happen, it is much more likely that there will be an accident involving a tour bus, for example. These waivers do not mean that you do not have a case, but it does mean that you should discuss this issue with an experienced Boston personal injury lawyer.